It didn’t take long for the Republicans to seize on Alexandria Ocasio-Cortez’ fatal political maneuver. The Green New Deal has been rightfully ridiculed. The election of AOC proves yet again that children and Democrats shouldn’t be allowed to play with votes. In a rare show of actual political savvy, Mitch McConnell decided to have a bit of fun with votes. And his recent maneuver has Democrats on the run, backtracking as it were. Sen. Ed Markey, D-Mass and Rep. Alexandria Ocasio-Cortez, D-N.Y. introduced the Green New Deal in a press conference not that long ago. The measure was proposed as update of Franklin Roosevelt’s New Deal. The “new and improved” version provides a blueprint of an environmental and economic overhaul of America’s energy use, converting the country to renewable energy within a decade. Upon its announcement, numerous Democrats jumped on the Ocasio-Cortez train, including most of the idiots candidates who wish to run in 2020 against President Trump. Bad move. Mitch McConnell decided to test the mettle of the Democrats. So he said he would bring the legislation to a vote. I’d say. And that’s why many Democrats fear taking a stand. Ohio Democratic Sen. Sherrod Brown, who is mulling a 2020 run, tiptoed around questions on the topic during a Christian Science Monitor breakfast on Tuesday morning, declining to take a firm position on the proposal. “I support a Green New Deal and aggressively addressing climate change and what it means with infrastructure and other ways,” Brown initially told reporters. “I’m not going to take position on every bill that’s coming out,” he said of Ocasio-Cortez and Markey’s resolution. And even more panic ensued. Markey (the bill’s chief architect) took to Twitter to slam the decision. You guys put it out, you guys say it’s urgent and we’re in dire straights! Let’s vote! Wait, if we’re gonna be dead in 12 years, don’t you think Mitch SHOULD act with urgency? Rushing a vote? Then don’t introduce legislation if you’re not prepared to vote on it. Way to go there deflecting your own miscalculation. Americans now know that the NGD is nothing more than a sham and a talking point designed to enrage masses and not a real plan. You sponsored this legislation. Debate and votes are the next logical step in the process. Have a staffer look up “I’m just a Bill” from Schoolhouse Rock for you. So the plan was to propose it, have R’s ignore it for the ridiculous document it was, then blame R’s later for never giving it a chance. So even YOU know just how bad this bill is that you don’t want to put it to a vote???? When liberal bastions like Labor Unions can’t get behind you know you have a disaster on your hands. 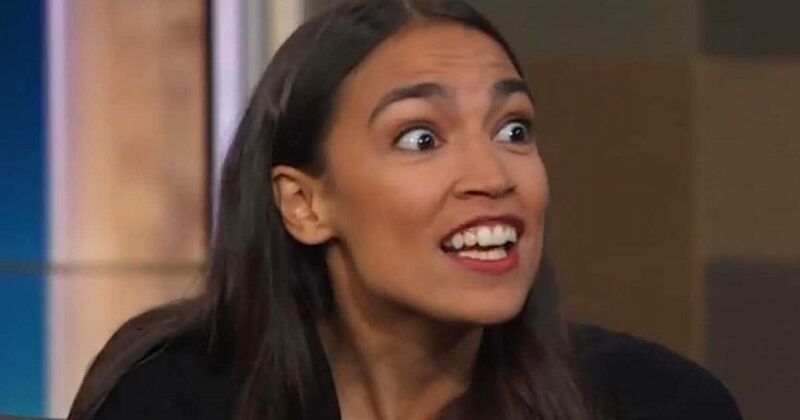 Thanks AOC for being the new face of the liberal party. Democrats again stepped in the dog doo-doo with bare feet. Now, the mention of the Green New Deal has Democrats looking at their shoelaces and scrambling for an exit. As I’ve said many times on my radio show, 2019 is a bad year for Democrats. And the outcome of the Green New Deal is only beginning for the assclowns of the Party of Slavery and Lynching.